When it comes to tourist numbers, Ernakulam (also Eranakulam) district tops the charts. Located in Central Kerala, it is the leading gateway to Kerala. The name does not sound familiar? Even so, you may have heard of the port city of Cochin where Chinese fishing nets cast a magical charm over green fringed backwaters. Ernakulam means Cochin city. It also means the whole district, whose capital is Cochin. No need to get confused. You can call Cochin, Kochi or Ernakulam for the city. These names are used interchangeably. For travellers, Cochin is handy. It is well connected nationally and internationally by air, road and sea. It enjoys a central location so that you can reach major backwaters and hill stations in a couple of hours drive. Cochin being the largest city in Kerala, has good choice of hotels, home stays and resorts. Being a commercial centre, it is frequented by business people as well. Cochin is also a tourist destination by itself. Time has passed and things changed since it earned the title the queen of Arabian Sea for lovely looks. Thankfully, all is not gone in the onslaught of smoke, dust and traffic. To sum it up, Cochin is a good place to either start or finish your Kerala tour. There are many interesting spots within the city and around. One of the most well known tourist spots is Fort Kochi. A visit to Fort Kochi is an essential item in most packaged tours. 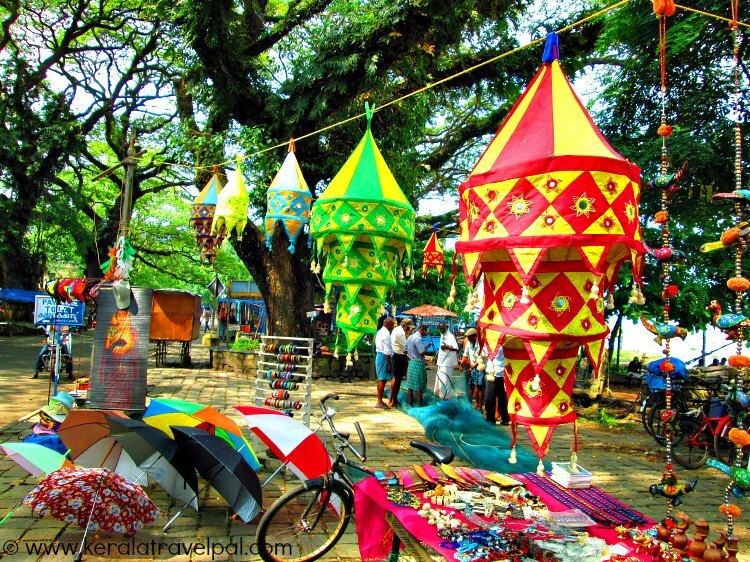 Fort Kochi is often visited to witness the last traces of an old world colonial charm. Monuments such as St Francis Church and Santa Cruz Basilica have a history of over five hundred years. Fort Kochi balances the intense air of historic past with the light breeze from its local beach. Colourful curios of make shift stalls alongside the pavements make the place more interesting. From Fort kochi, a quick drive of about ten minutes will take you to Mattancherry, a suburban neighborhood with its own look and feel. The place to be is Paradesi Synagogue. Not just that a Synagogue is a hard find in Kerala, this is a historic monument with great interior decor. 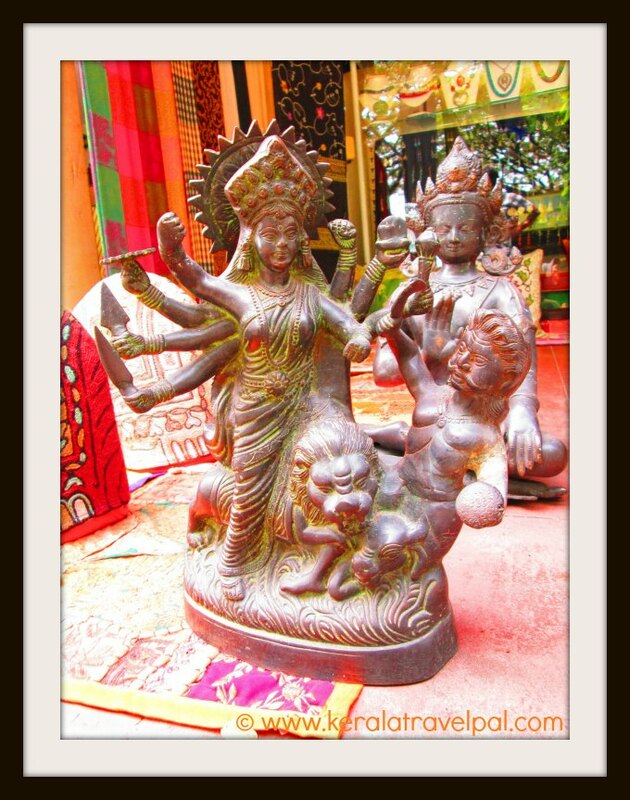 If you have an eye for works of art, antique shops in Mattancherry are not to be missed. If you are a fan of palaces and museums, there are many to get to. Bastion Bungalow, Vasco House, the Dutch Palace, Hill Palace, Museum of Kerala History, Pallipuram Fort, Parikshit Thampuran Museum and Kottayil Kovilakam are the notable ones. Gallery of Contemporary Art and Chaithram Art Gallery gives insight into how Kerala arts is faring. Marine Drive, the promenade near backwaters is a great place for a relaxed walk. Expect a lot of people, especially in the evenings. In case you want to dine or shop, the nearby malls are full of shops and eateries. Bolgatty is a tiny island just a short boat ride away. The Dutch palace in the middle of the island is the oldest of its kind built by them in India. Now converted to a hotel, the palace still retains its lovely looks. The boat ride as well as the view is quite scenic. 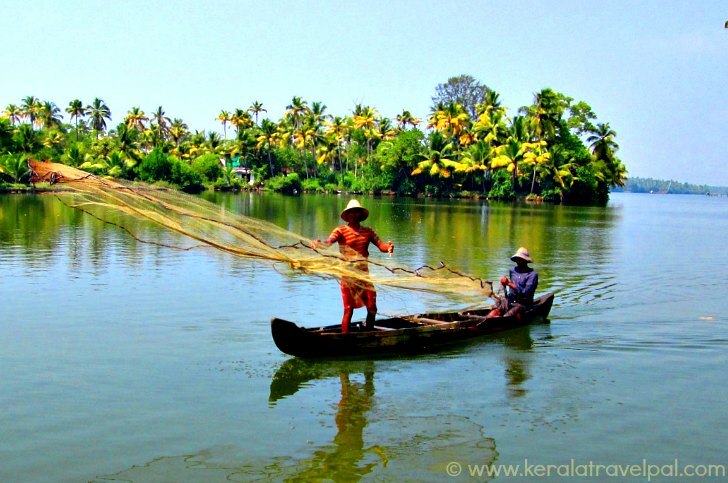 Unless you are heading to Alappuzha or other backwaters, why not enjoy the local backwater tours? Are you interested in seeing the Chinese fishing nets in action? The backwater-beach belt of Cherai is a preferred destination for many tourists. Cherai is a perfect place to explore a bit of local living. Wonderla, is good for some family fun time. The water themed amusement park, a hit among kids of central Kerala, is one of the largest in South India. Day tour locations in Cochin surroundings are Athirapally waterfall, elephant training centre at Kodanadu, Bhoothathankettu dam, Cherai beach and Chendamangalam. Malayattoor, Iringole Forest Temple, Chottanikkara Temple, Kallil Temple, Thrikkakkara Temple and Kalady are the important spiritual places in the region.